Some TV makers are collecting and selling usage data to third parties. That is how the cost of the smart TVs can be kept low. If you are one looking to purchase a TV, chances are you are looking at a Smart TV. Whatever your budget, there will always be that one TV that gives you access to the internet, an app store and access to some streaming services if not all. As you increase your budget, the smart capabilities of your TV become more sophisticated and the TVs even boast of voice controls from services like the Google Assistant and Amazon Alexa. In an interview with the Verge, Vizio’s CTO Bill Baxter talks about how the cost of Smart TVs can be kept so low. Business Insider goes on to say, “Some manufacturers collect data about users, then sell that data to third-parties. That data can include what type of shows you watch, which ads you watch, your approximate location, and more.” This will help content providers show you what you would like to see or content related to the kind of content that you are consuming, so on and so forth to keep you engaged and of course ensure you pay for the content you are consuming. It is these additional revenue streams that help manufacturers keep the cost of TVs down. Without these revenue streams, the consumer would be paying more for the TV upfront so that the manufacturer could make up for the cost of the TV and the fact that this is a once in a decade purchase for the consumer. how data mining and data warehouse related. 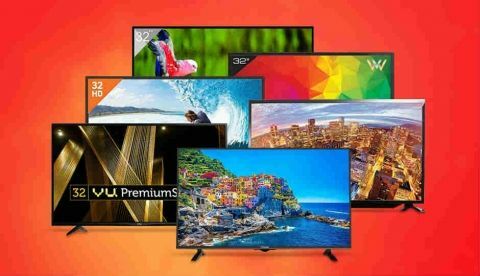 What are the best 48-55 inch 3D, Smart TVs around 1 lakh (preferably below 1 lakh)? Why are there so many different connectors on my DVD player? Samsung's new 85-inch 8K TV costs more than a Honda City!